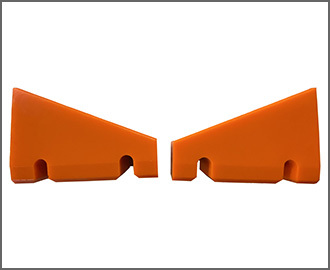 Urethane Coil Storage Pads Saddles are manufactured for today’s fabricators and metal processors. Through consistent use, in the handling and storage of coil inventories, our coil pads can reduce the cost of waste and damage. 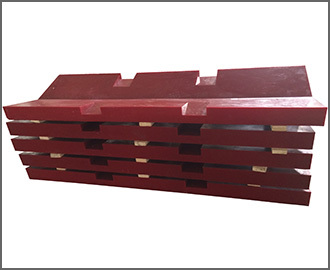 Made of molded 95A duro durable polyurethane material, these blocks are resilient to prevent damage to coil contact surface, and are stronger & more durable than rubber, plastic or wood. Ideal for Automotive exposed materials, Pre-painted, polished or non-ferrous decorative materials such as Aluminum, Copper, Brass and Stainless Steel. Used in Stamping, Re-coiling, slitting, cut-to-length operations, and Storage. In handling or storage of coils, preventing damage to the outer wraps of sheet metal can improve productivity and save lot of damaged sheets and scrap. 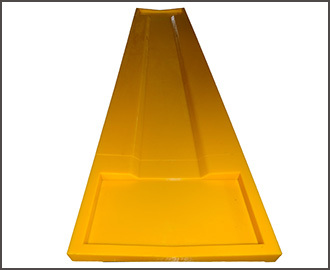 Designed to fit in standard steel channels to provide maximum flexibility and safety.